Kramer Fine Art | Costume Ball or Confetti. 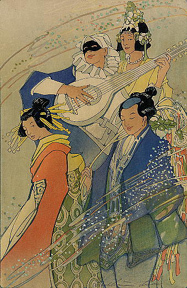 Color woodcut, 1924, Gravelos 73, edition about 50. Signed, dated and numbered in pencil. 14 3/4 x 9 5/8.